NIA CHARLESTOWN NEVIS (September 25, 2014) — The following is a press statement issued by the Ministry of Tourism on Nevis, on the occasion of World Tourism Day on September 27, 2014. Under the theme, “Tourism and Community Development”, the Ministry of Tourism on Nevis will join the United Nations World Tourism Organisation (UNWTO), in observing World Tourism Day (WTD) slated for Saturday 27th September, 2014. Activities to commemorate the event will be held locally on Friday 26th September. These activities include presentations in all schools across Nevis on the importance of the theme and the vital contribution tourism makes to community development and how the community can work together to foster sustainable tourism; a radio quiz on VON radio’s morning show, a radio address for World Tourism Day and a victory celebration at the Gingerland Secondary School for Rol-J Williams who recently won the 2014 CTOs Caribbean Tourism Youth Congress, making it a two-peat for Nevis. The Minister of Tourism Hon. 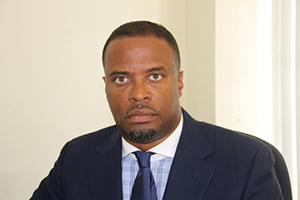 Mark Brantley, will be visiting the school to extend congratulations to the new Caribbean Junior Minister of Tourism. Endorsing the theme for World Tourism Day 2014 Hon. Mark Brantley points out that “Tourism remains the main economic engine for the island of Nevis and provides much needed revenue to drive community development. Tourism and community development, therefore, are inextricably linked.